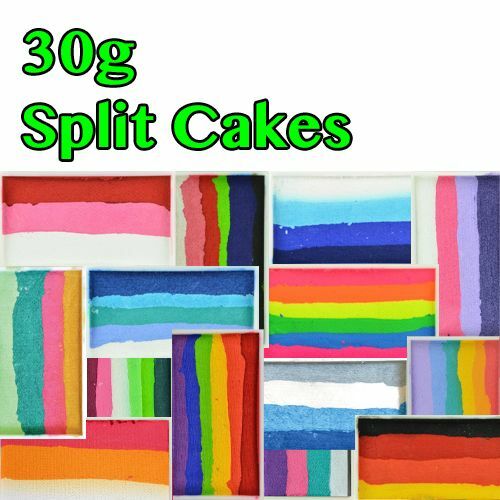 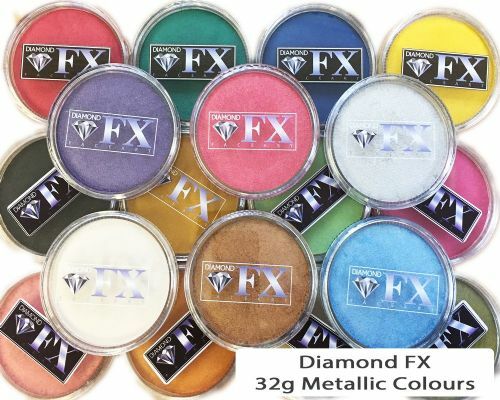 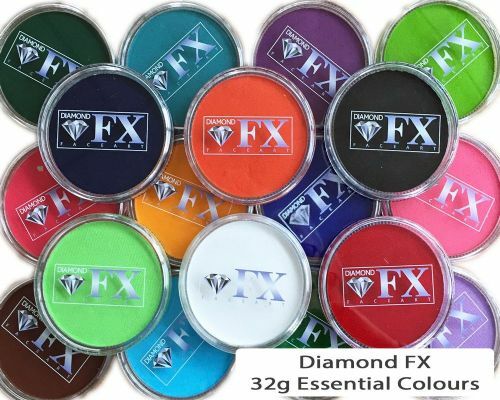 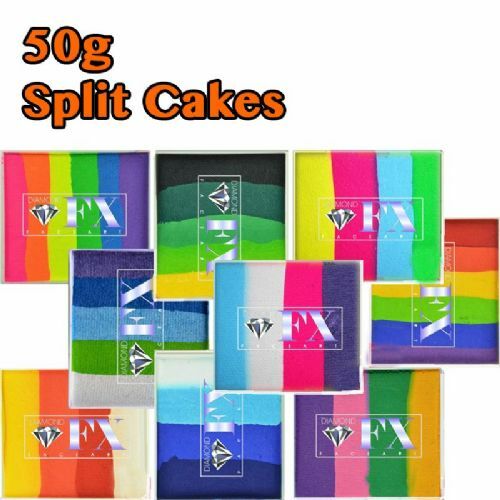 ​​​​​​​Diamond FX is a professional water based paint which comes in Essential, Metallic and Neon Colour Cakes in a range of different sizes and 30g or 50g Split Cakes. 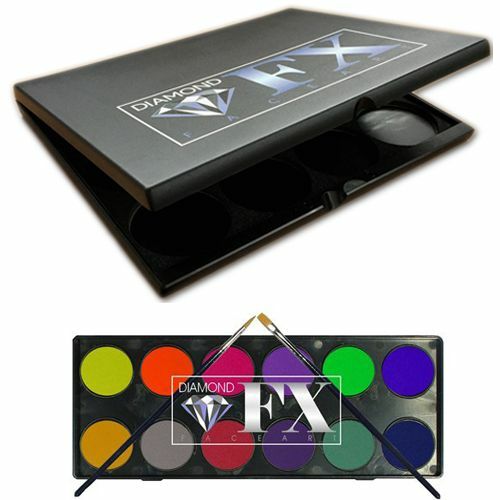 Diamond FX is a strongly pigmented professional water based make-up. 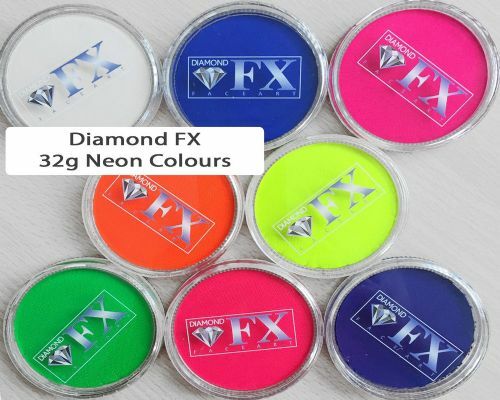 It has excellent coverage and the brightest colours for black light. 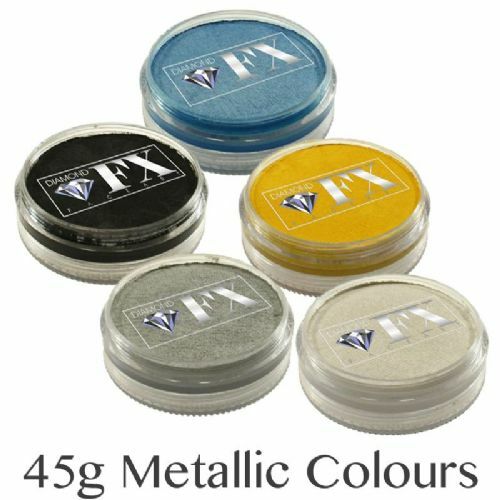 The white has excellent coverage over darker colours and the black glides on for perfect line work. 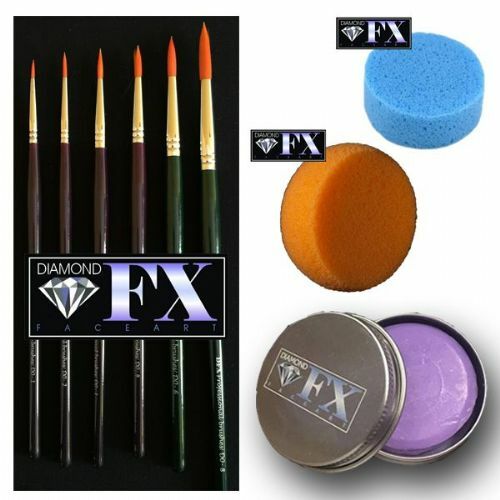 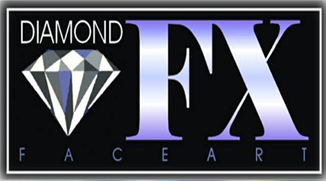 Diamond FX can be applied with a sponge or brush, and is easily removed with soap and water. 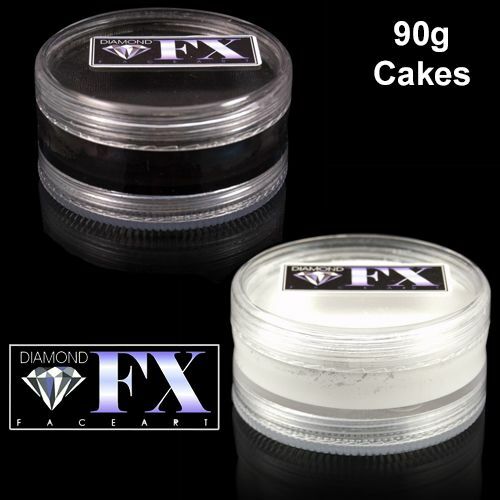 When applied it will last all day without cracking or fading. 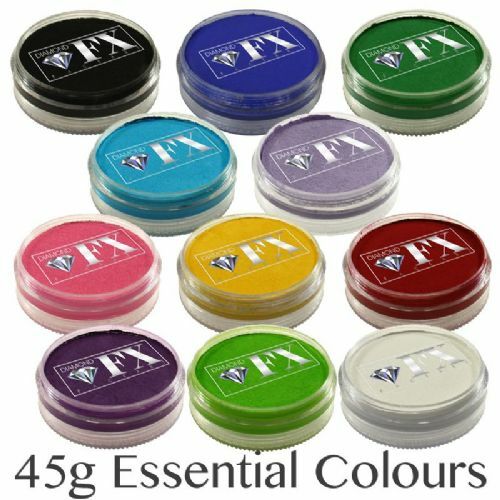 Please use only a small amount of water as it is designed to go further with less water.